Speaking of spin, throughout the Winter Olympics there isn’t a sport that is more popular than figure skating. I thought of this a lot during my preview week after I went to Cooper’s Hawk Winery ( 798 W Algonquin Rd, Arlington Heights, IL). But given I’m in training, I was here only for the food being offered during restaurant week. 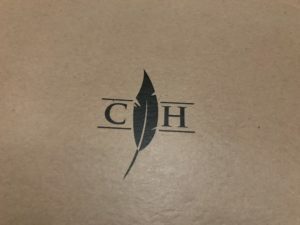 Cooper’s Hawk is also showcasing a 3-course meal ($20 for lunch/$30 dinner) and they had so many options it was hard to choose. Grabbing you like the introductory successful jump into a routine, the first course at lunch consisted of a few options and given it was cold like an ice skating rink, we went for soup. The tortilla soup is a house favorite and offered daily. Mildly seasoned and not too spicy, it was a great way to begin our meal. 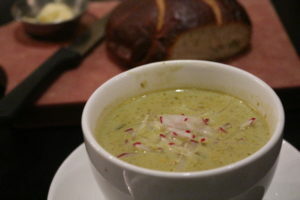 The soup du jour was a tomatillo which was very refreshing and great with the house pretzel bread. 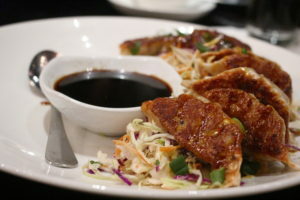 The chicken potstickers are something I would order EVERY time I go to Cooper’s Hawk. With a nice pan sear on the bottom and cooked to delicate perfection, the chicken filling was highlighted by a ginger soy that was a little sweet and little spicy. The second course options are paired up like a wonderful synchronized routine. 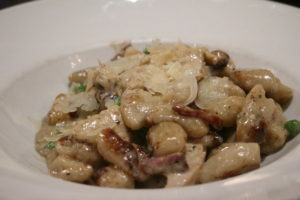 Lunch and dinner have some different choices but anything you order will make you as happy as landing your first Lutz. 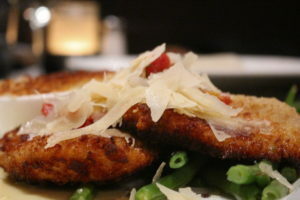 Dana’s Parmesan Crusted Chicken with the crispy coating outside was delicious. 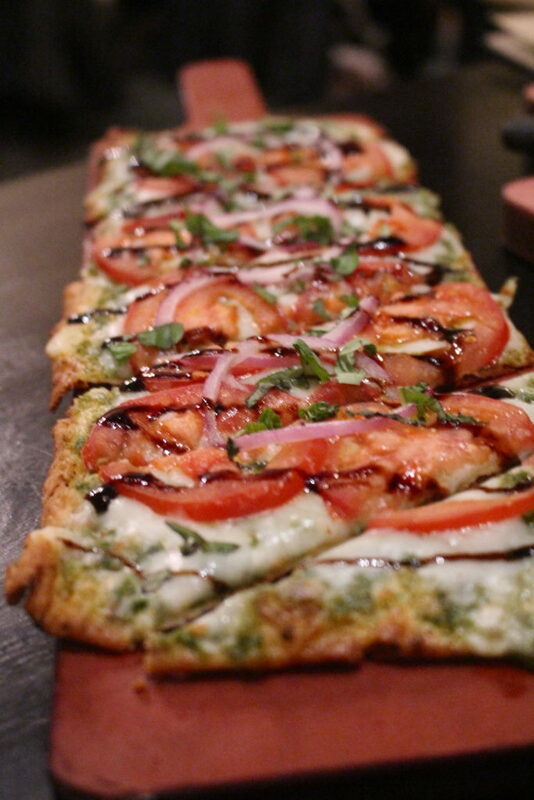 It was great to have it balanced with a tomato basil relish instead of drowned in a heavy sauce or with cheese. The green beans were lightly blanched and touched with just a little garlic. And if you are a potato lover, don’t miss getting Betty’s Potatoes on the side. Here is where the gooey goodness belongs. It flattered its partner without taking all the attention. 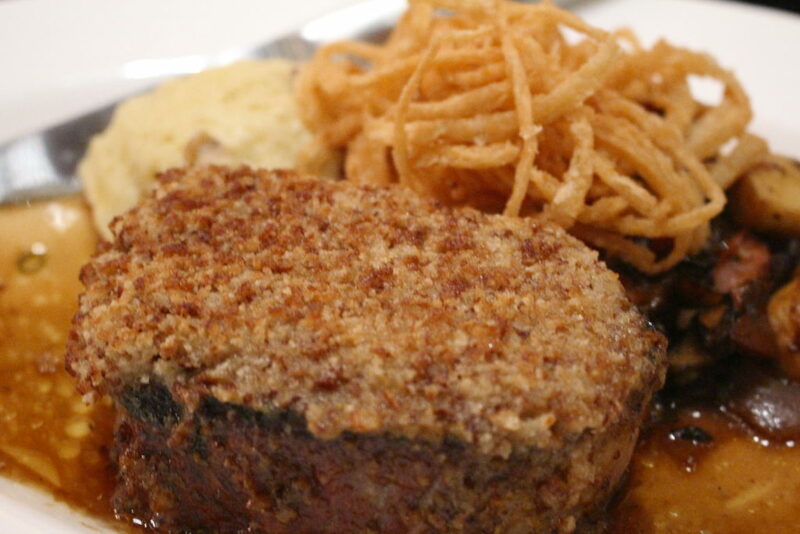 Also the maple mustard pretzel crusted pork is a can’t miss….I mean…pretzels…mustard…pork. Triple Solchow!!!!! I love when a restaurant gets a boneless pork chop correct. It had so much flavor captured inside but the crispy onions and the roasted vegetables put the dish together like a perfect sequence. (There were some parsnips in there that really made the mix.) I didn’t even need Mary’s Potatoes (mashed) because the veggies were so perfect. The Carbonara was also an interesting dish with gnocchi as the pasta component and everyone’s favorite pancetta, peas, sage and a garlic cream sauce to round it off. 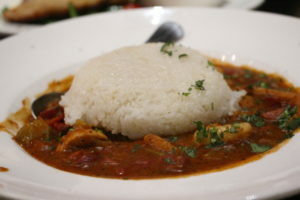 It was a hearty dish and I probably would choose this if my partner picked something else so we could share. 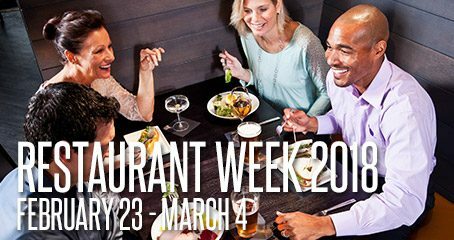 One of the things I like about going to Chicago Northwest Restaurant Week is that a lot of the restaurants offer dessert as their third course and I really never find an excuse to order dessert in my daily life. My friend went for the chocolate cake but I couldn’t resist ordering the Salted Caramel Crème Brulee. You could see caramel’s signature color but the taste was something I never expected. 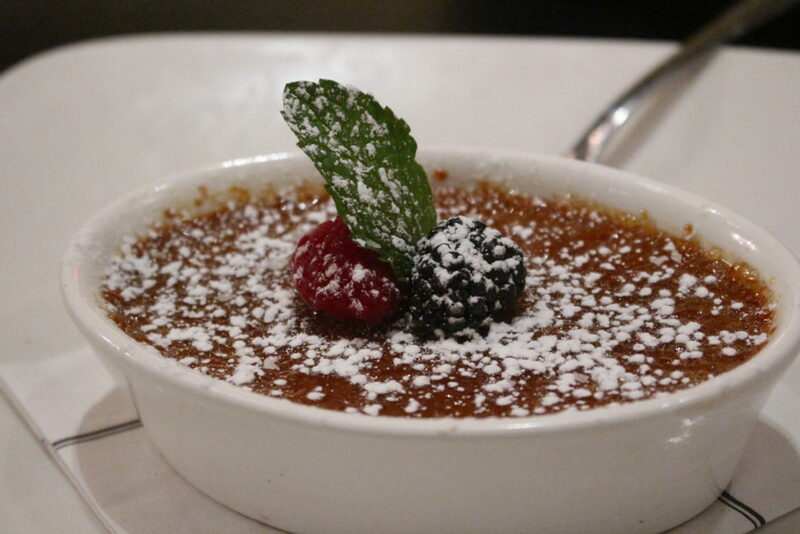 The flaky sea salt did something I didn’t think was possible… it made this crème brulee like something I’ve never had before. 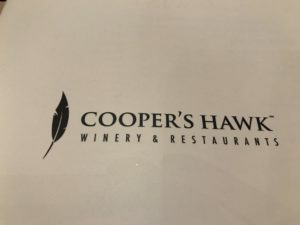 My experience at Cooper’s Hawk was marvelous and it made me feel like I should have thrown roses on the rink to thank everyone for not only including the compulsory elements of a meal but tossing in a few extra jumps and spins to make it memorable. I can see why this restaurant has a stadium sized following. The final bites of my “Olympic” sized Chicago Northwest Restaurant Preview will be on Friday!